According to Inc., the average US employee spends about a quarter of the work week combing through the hundreds of emails we all send and receive every day. As we send and receive these hundreds of emails, we might get into bad habits that could cost us professionally. 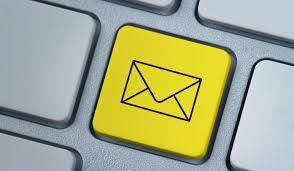 For a reminder on email etiquette, see the following list of 15 email etiquette best practices. On any give day, I could use a direct reminder of these best practices. I ran into an issue recently where my tone and humor were lost on someone who had never met me in person. I was trying to diffuse a situation but probably ended up making it worse. And it always surprises me when law students don't have a professional email address, yet it happens often enough. It should be something that everyone acquires during 1L year. Attorneys (and prospective attorneys) would do well to adhere to these tips, along with Bryan Garner's advice for coherent email memos.